If you are looking for quad tyres or trailer tyres that are up for a challenge, the giga-tyres.co.uk range most likely offers what you need. 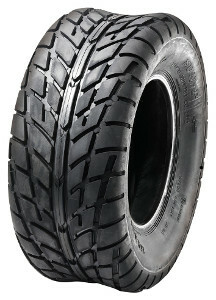 Maxxis is one of the premium brands in this category, which we happen to stock as well. Budget and premium tyres for quad/ ATV are available here so that you can find the right wheels for all road conditions. If you are planning on taking your quad off road, you can choose some quality turf tyres. The comprehensive range of robust motocross wheels has been put to the test so that you will not be putting your safety at risk when opting for these tyres. Find OEM wheels for your ATV or quad that many manufacturers are trusting in. Of course, Dunlop wheels are offered as well so that you can choose from a number of great options. Keep in mind that delivery is free if you purchase at least two wheels at once. The tyre ratings can also help you select your wheels depending on what kind of terrain you want to explore with your ATV. Of course, these wheels have been manufactured using some of the latest technological advancements so that they are up for whatever challenge may come their way. Even muddy roads are not a problem.